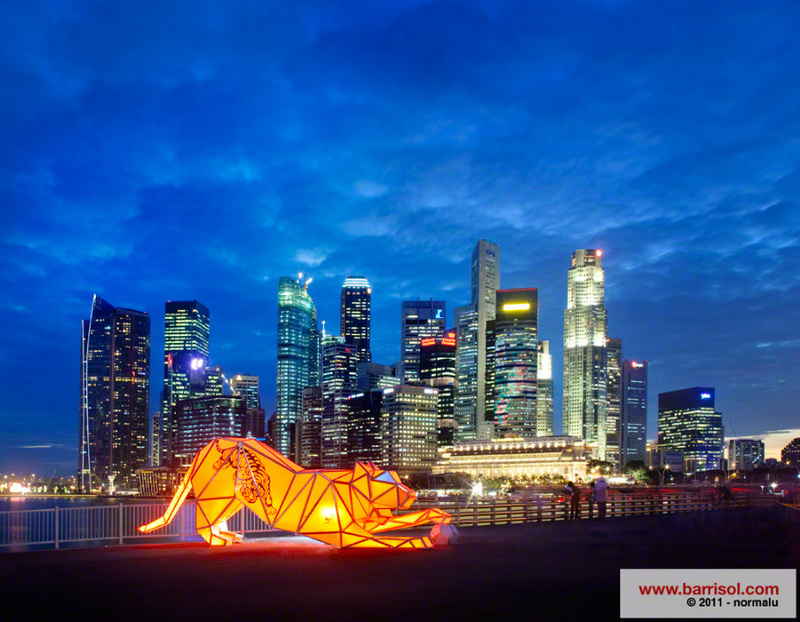 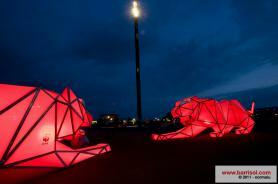 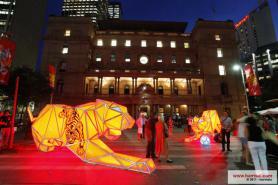 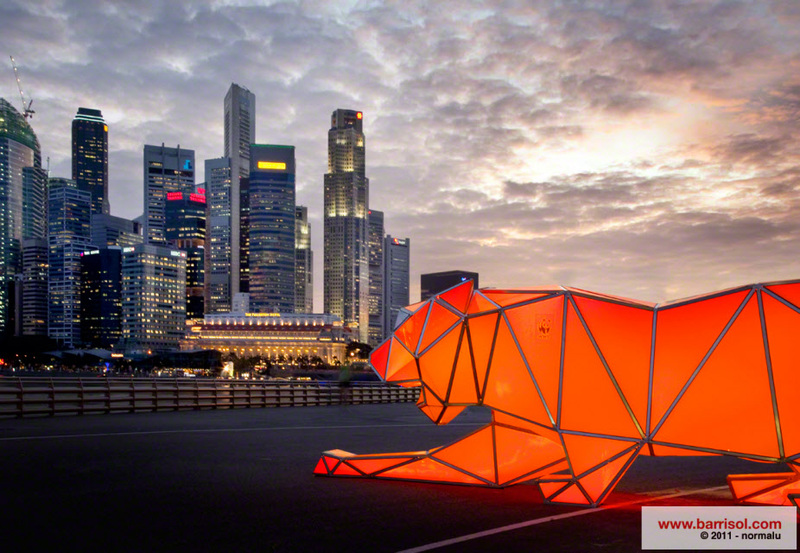 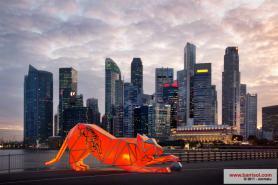 Customs House was the home for two 8mtr long by 2.5 mtr high Chinese Lanterns in the shape of a Tiger designed by LAVA and realized by Barrisol Sydney. 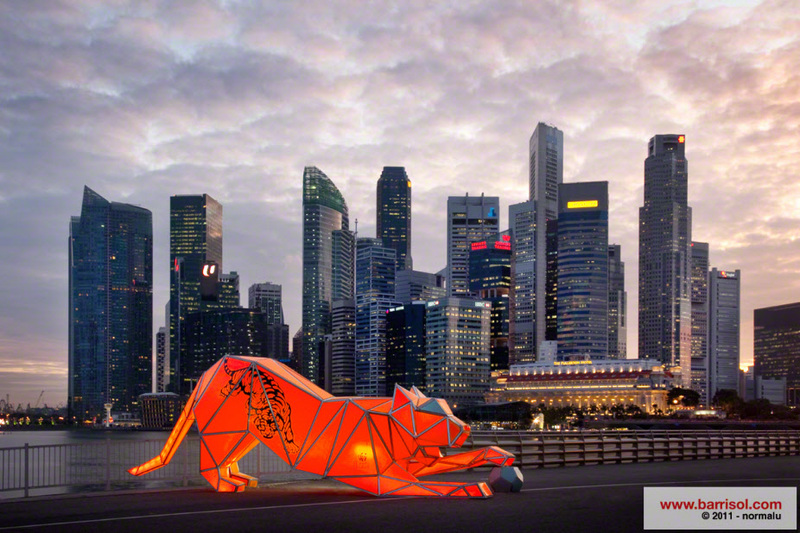 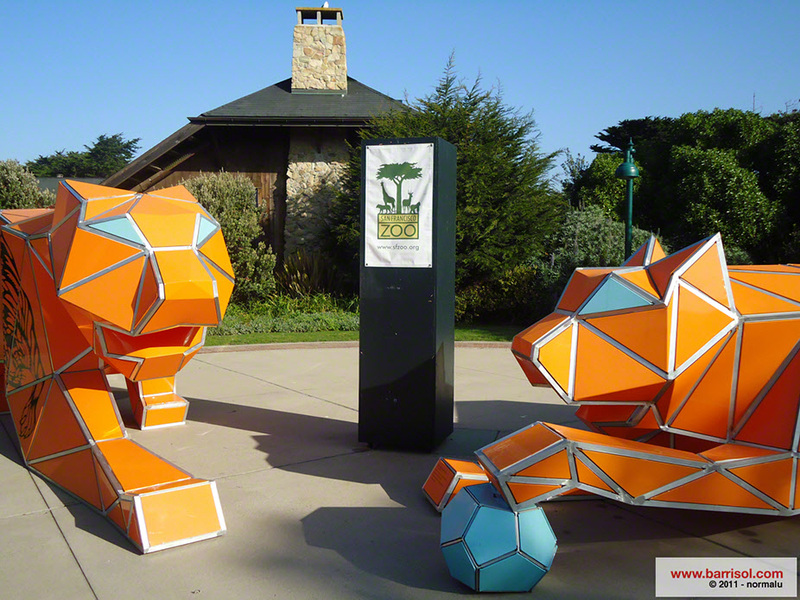 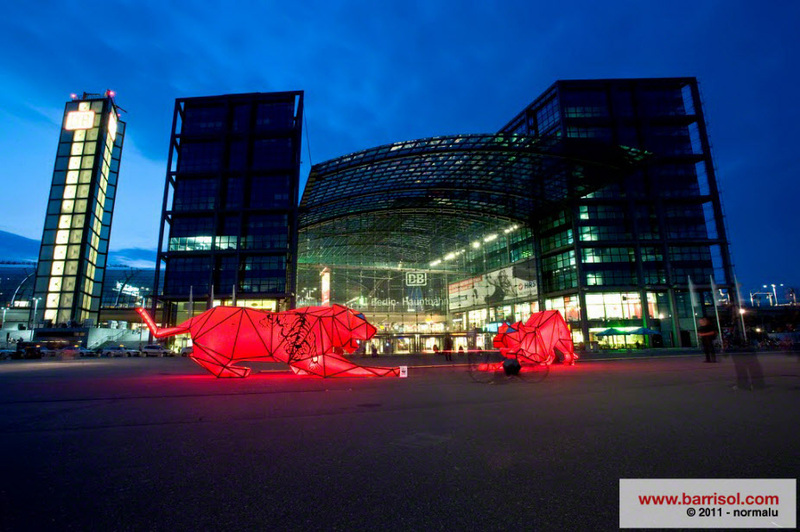 These wire framed tigers were covered in our Barrisol "Orange Coulouma" and internally lit with the help from Sydney based lighting consultant "XENIAN" lighting – weighing only 200kg each. 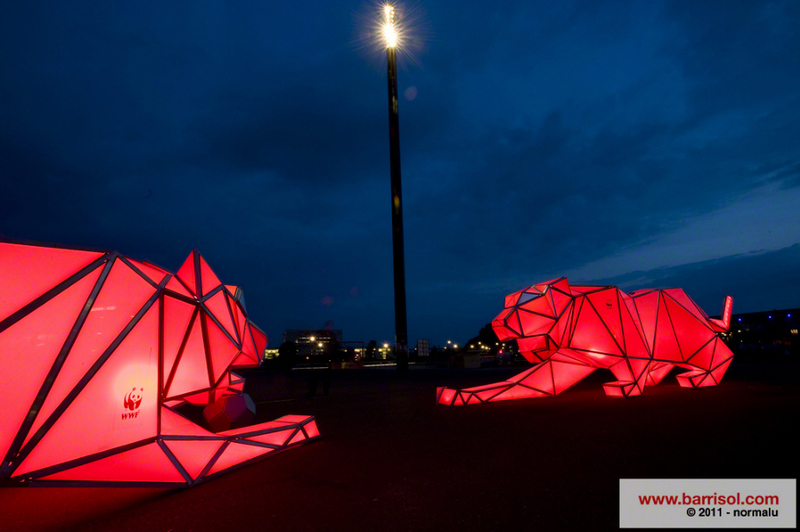 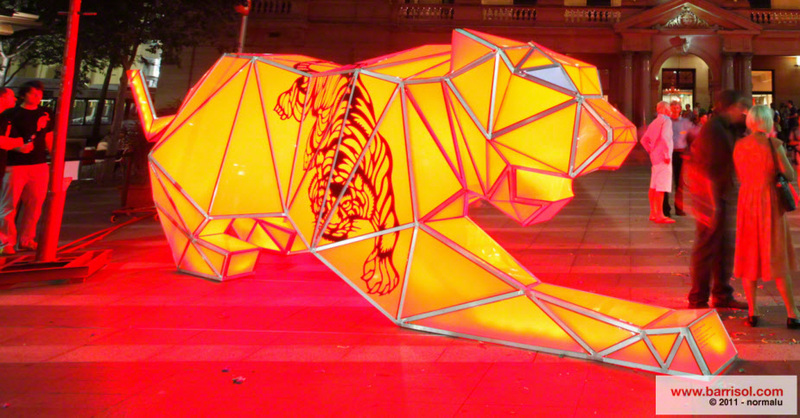 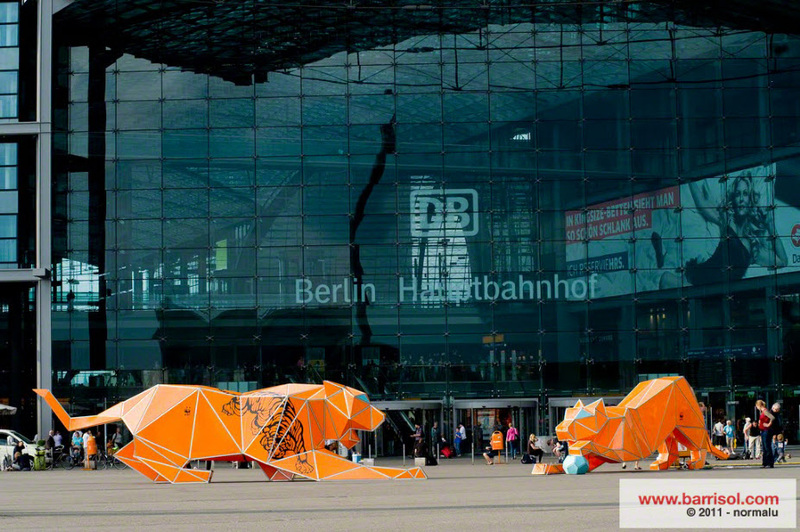 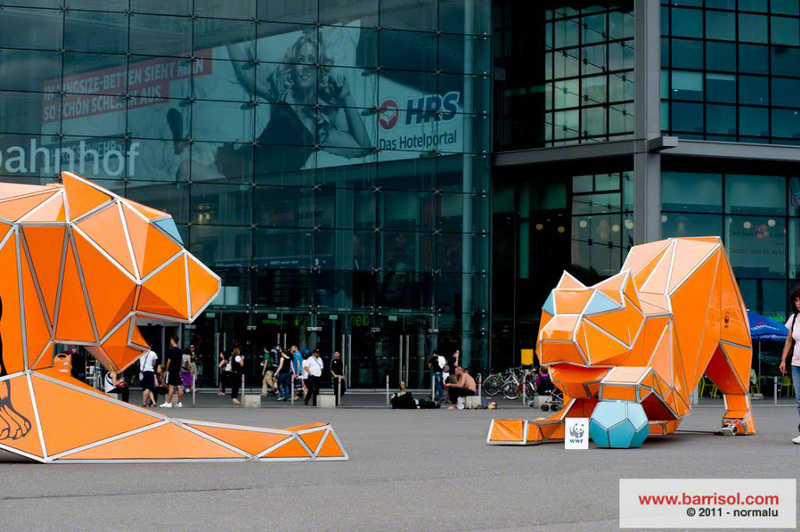 The crouching digital tigers combine ancient lantern making methods with cutting edge digital design and fabrication technology, bringing east and west together through tradition and innovation. 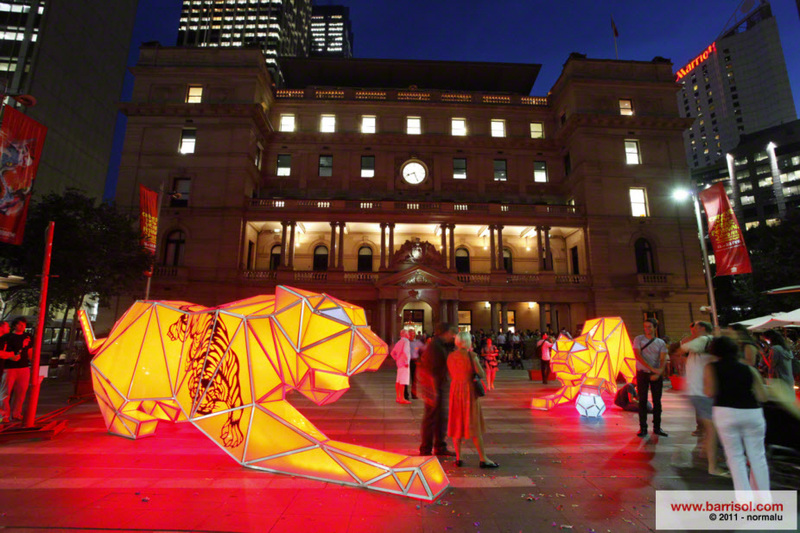 Since celebrating Chinese New Year in Sydney 2010, the tigers have been adopted by the World Wild Fund (WWF) for the international Year of the Tiger campaign to raise awareness about the endangered status of tigers. Less than 3200 tigers remain in the wild. 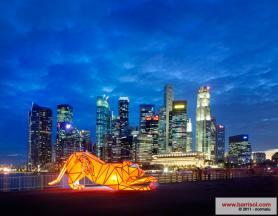 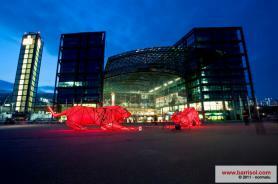 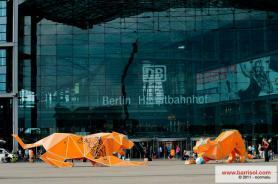 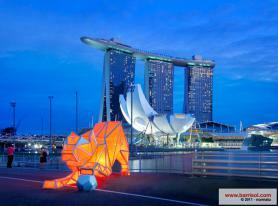 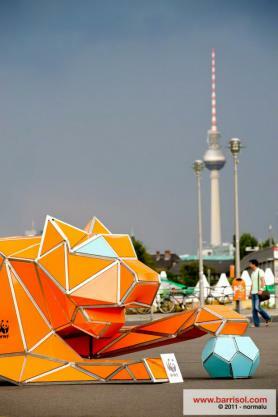 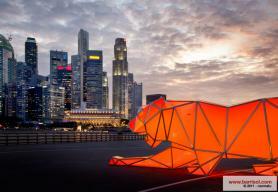 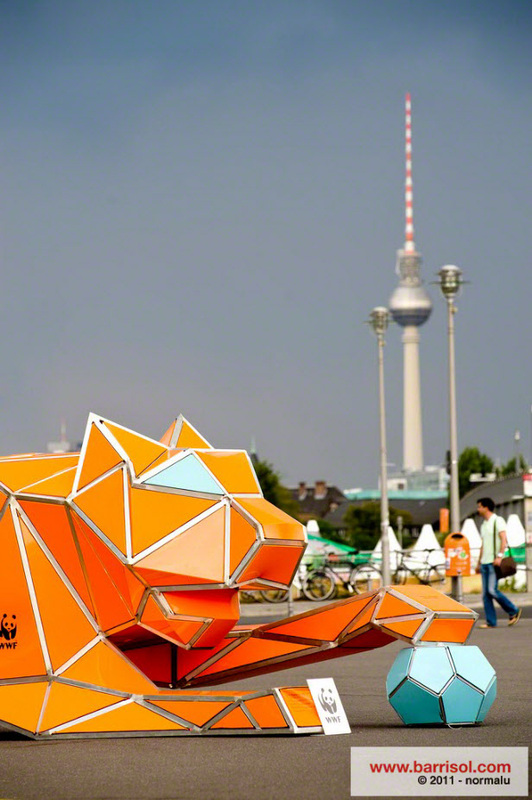 With the WWF the LAVA designed Barrisol Tigers have led a world tour, moving onto Kuala Lumpur and Berlin. 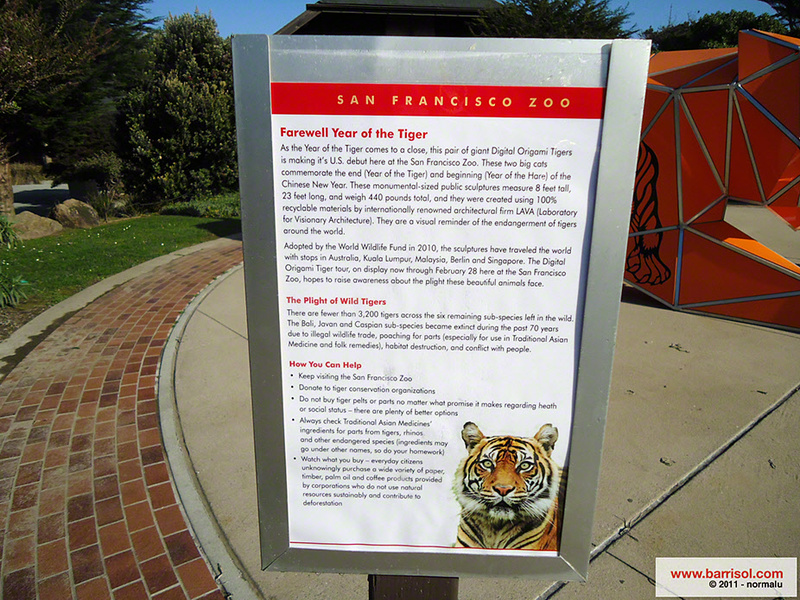 Most recently the Tigers have been on tour in the USA tour as part of G'Day USA.